“I thought I was ready, but had no idea what I was getting myself into. No matter how much experience you’ve had, it’s easy to doubt yourself and wonder if you’re “good enough” to get to the next level. In working with many leaders over the years, I see their thought process as they contemplate ways to expand their impact and advance their careers. Some are frustrated. They’re not moving fast enough into roles they think they deserve. Perhaps they have leadership blind spots. They view their situation as something beyond their control. The reality is that, in many cases, you can be your own worst enemy. You might be sabotaging yourself with secret thoughts that threaten your confidence. 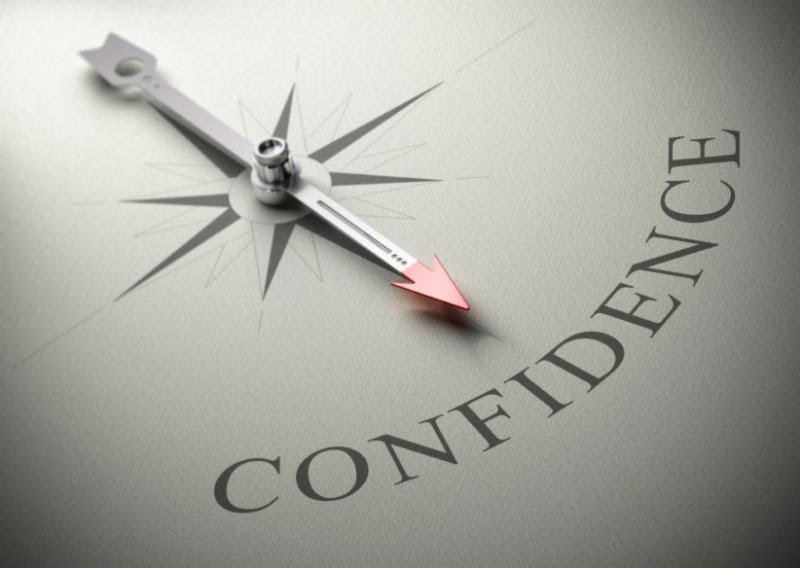 Self-confidence is one of the most important leadership attributes you can have. 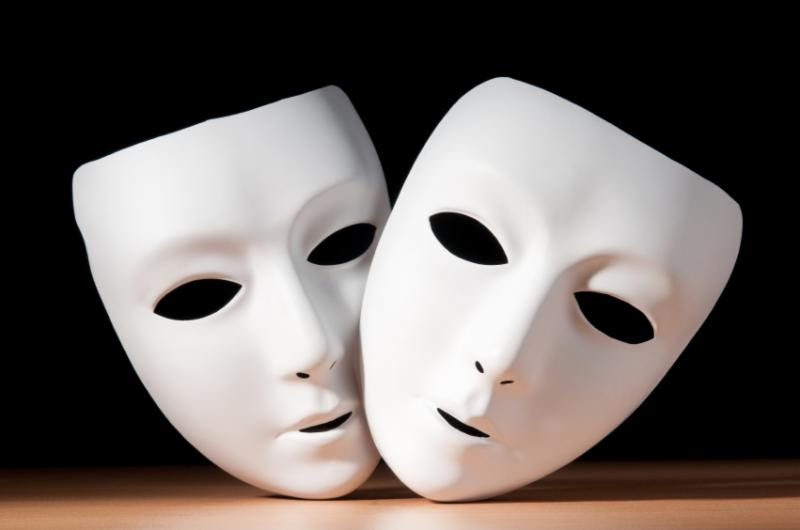 Without it, you risk jeopardizing your performance, and in some cases, ruining your own career. Insecurity manifests itself in a variety of ways. Some people show up as fearful or anxious. They work in the shadows and draw little attention to themselves. Other people may appear overly confident or egotistical. But deep down there are serious insecurities they’re attempting to mask. 1. Note your strengths and best qualities. If you need reminding, talk to family members or friends who are closest to you. By focusing on what you have instead of what you (think you) lack, you’ll create an image of yourself that is strong and capable. Weaknesses or deficiencies will become less important. Bring whatever you have now to the table. Don’t worry about the rest. If you’ve been afraid to try something new or tackle a difficult project, consider it an “experiment.” You’ll take pressure off yourself to achieve perfection. Instead view the situation as a learning opportunity. Be prepared to observe what is happening as you go through the experience. Anticipate setbacks. Be willing to move yourself or your project in a different direction if needed. If it doesn’t work, it’s just an experiment. Keep trying. Ultimately leadership is about service. This is a fundamental aspect of leadership that executives often miss. Instead they are overly concerned about how they are perceived. If they care more about their own image, they lose sight of what matters most–other people. Shift the focus from yourself to others. If there is one thing that you know is in your way, face it head on! In my case, the one thing that was holding me back in my career and leadership role was my fear of public speaking. So many years ago I decided to begin working on that skill. I participated in Toastmasters International and other development programs for years to practice and build my confidence. Sometimes it was painful. Confidence comes through practice and by surrounding yourself with other people who want to see you grow. Now I speak professionally as part of my work. Everything flows from your confidence as a leader. We all have insecurities. It’s natural for your confidence to waiver over time, especially as you grow and take on new challenges. You are stronger and more capable than you realize. Your potential is much greater than you can imagine. Step boldly into the new iteration of who you are becoming. You’ll be even better as a leader. It’s good for yourself and those you serve. Get a copy of my latest print newsletter. 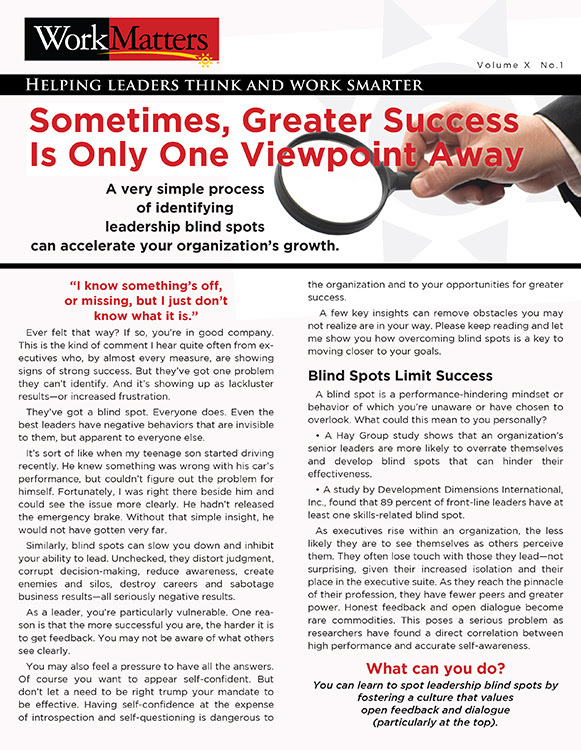 It’s about how to overcome leadership blind spots. You’ll gain insights to help you see what you might be missing.